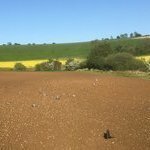 Mainly pigeon decoying, some rough shooting, clays about once or twice a year socially to meet up with other members or if I'm threatened with physical violence. Hope to get into wildfowling this year now we have gained permisions surrounding many acres of reservoirs. Like anything, its all about the preparation. The ground needs to be dug up and you need to lay down a fine aggregate so it is firm but drains well; Then like carpet, it needs stretching out and pinning down. I'm sure there would be loads on you tube to help you. I wouldn't touch it on a large area, but something small would be doable in my opinion. Forums are for posting questions, and this forum is particularly good at answering most. If you don't have anything decent to add, move on!! The majority of my decking will be surrounded with brickwork; The little which isn't am planning to take precautions over this. WIth 5mm spacing on the deck I guess should keep rats out, and will be ensuring no gaps left around edges. Any other tips for keeping them out? Maybe making solid sides around the edges? Not planning to put any timber in the ground. The MOT will be wacked down pretty hard, and planning to put down a bed of sand and cement mix with a concrete patio slab for each post to sit on; This way posts don't sit in the ground. All sawn edges will be treated. Great bag and write up Wayne!! Next project for the summer is the garden and the first part of the job will be a large decking area. In case it makes a difference, I'll be using composite decking boards which are 22.5mm thickness. Decking area will be around 85m/sq I don't mind going over board on the construction as I don't want to have problems later and I don't want any bounce whatsoever. Thinking to use 6"x2" treated timbers for framing, and spacing 350mm to centre's. Not decided yet, whether I should use screws or joist hangers. Not decided yet, spacing of the support posts. Not decided yet, what to use for the supports (decking will be raised approximately 15"), would 3" posts be OK? Any other considerations I need to be having? I'd appreciate any tips anyone has to offer. Excellent looking net PC!! very innovative.